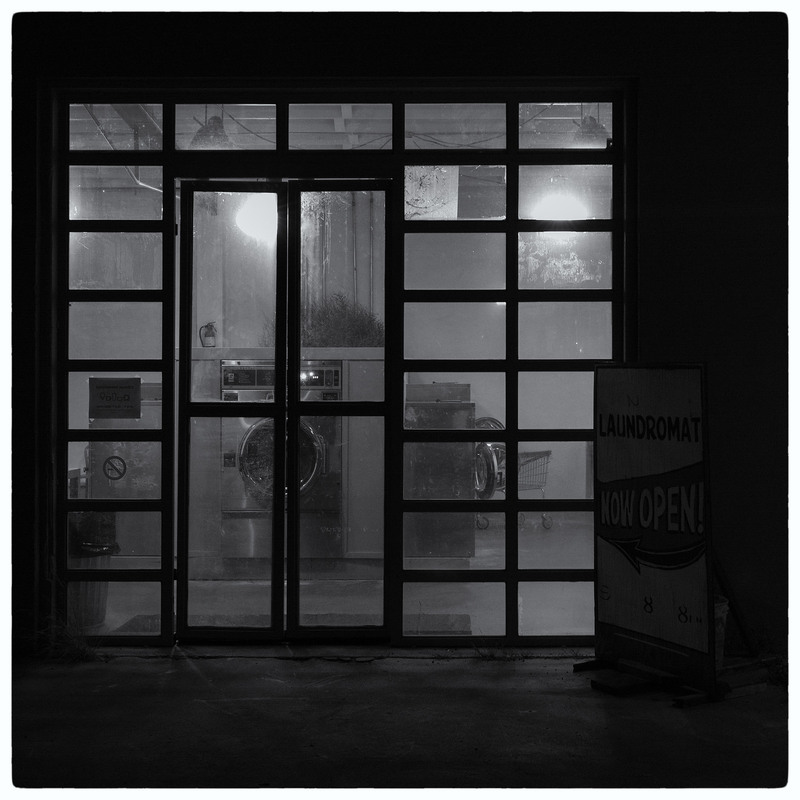 An early morning walk – I was trying to catch the cool part of the desert day – gave me a very nice view of this laundromat. Posted on July 29, 2016, in Photography and tagged 365 photo project, alpine texas, black and white photography, Leica, melinda green harvey, monochrome, one day one image, photo a day, photography, postaday, texas. Bookmark the permalink. 16 Comments. Yes, from his early, little-known Gray Period. Yes, it is a very nice view. You’ve captured that early-morning feeling very well. Love the light and (yes, nikkorbacher) the Mondrianness of this photograph. I am going to spend the weekend trying to work the word “Mondrianness” into as many conversations as possible. I am very goals-oriented, so I think it’ll be a great time! Thanks, Laura. I don’t usually get up early enough to catch these kinds of shots, but I have obviously been missing out! Nicely balanced circles in this picture! I’m glad you noticed the circles – I sort of worked it to get them lined up that way.